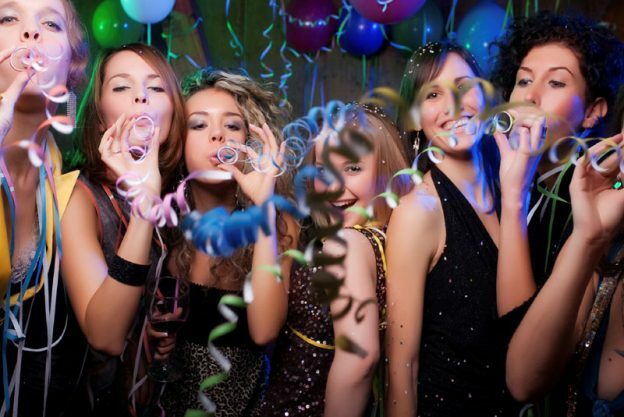 When planning the ultimate bachelorette party, you want new concepts that will make for an unforgettable experience. The amazing collaboration of crafting and cocktails is the newest party plan and combines luxury with productivity. Even if you are not gifted with creativity, new crafting projects and unique bachelorette party ideas are available online in higher quantities every day. This means that the bachelorette party activities are taken care of with constructs of fabulous souvenirs. Creating original bachelorette cocktails isn’t even required with the endless options already existing. Considering the endless examples of craft cocktails and creations now online, this will focus on party endurance as well as advise bachelorette party supplies that pair well with crafting. Bachelorette party invitations conveying the emphasis on crafting lets your guests get excited and start brainstorming early on. For instance, include a stretch of Bachelorette Party Ribbon. Preparing hangover kits as bachelorette party favors using Bachelorette Loot Bags is a cute twist on a new classic. The best circulation will be achieved if two separate scenes are set so cocktail crafting doesn’t interfere with bachelorette activities creating martini glass keepsakes. Choosing craft projects to use with your crafted cocktails isn’t the only option but makes for fantastic photos! Having a sleepover after your crafty bachelorette party is a wonderful continuation of the fun and eliminates the need for designated drivers. If you aren’t having a sleepover, time the cocktails to end early enough for it to be safe for your party guests to travel home. Find more party ideas and share your ideas with me on Pinterest! This entry was posted in Bachelorette Cocktail Supplies, Bachelorette Decorations, Bachelorette Games, Bachelorette Party, Bachelorette Party Accessories, Bachelorette Party Favors, Bachelorette Party Invitations, Bachelorette Party Planning, Bachelorette Party Supplies, Bachelorette Party Themes, Bridal Shower, invitations, New & Exciting, Party Planning and tagged bachelorette, bachelorette accessories, bachelorette decorations, bachelorette games, Bachelorette Party, bachelorette party favors, bachelorette party favors for guests, bachelorette party inspiration, bachelorette party invitations, bachelorette party supplies, bachelorette party theme, bachelorette planning, bachelorette superstore, DIY bachelorette gifts, DIY bachelorette party, paper bachelorette invitations, party accessories, party invitations, party theme on November 2, 2016 by Hype Girl.